Have you ever felt STUCK trying to figure which forex trading strategies you should use? Should you be a day trader, swing trader, position trader, news trader, scalper, or a combination of different forex trading strategies? It can be frustrating, right? Because you’ve seen traders make money with different forex trading strategies. When you attempt it, it fails you. Because in today’s post, I’ll share with you 5 types of Forex trading strategies that work and how to find the best one that suits you. Position trading is a longer-term trading approach where you can hold trades for weeks or even months. The timeframes you’ll trade on are usually the Daily or Weekly. As a position trader, you mainly rely on fundamental analysis in your trading (like NFP, GDP, Retail sales, and etc.) to give a bias. 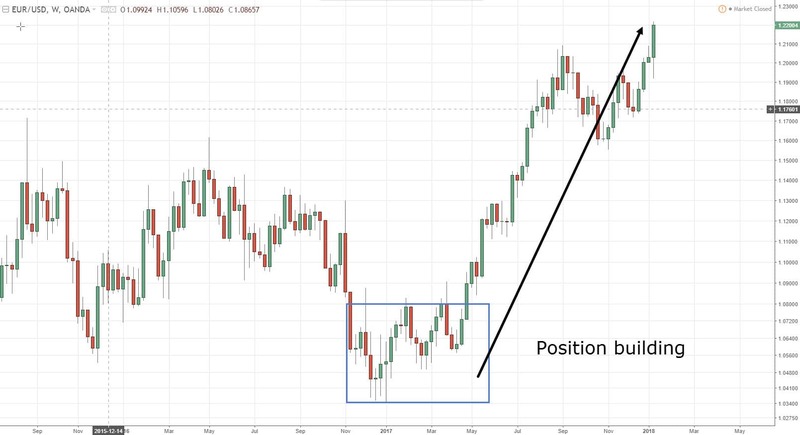 You analyze the fundamentals of EUR/USD and determine it’s bullish. But, you don’t want to go long at any price. The only difference is Trend Following is purely a technical approach that doesn’t use any fundamentals. Swing trading is a medium-term trading strategy where you can hold trades for days or even weeks. The timeframes you’ll trade on are usually the 1-hour or 4-hour. As a swing trader, your concern is to capture “a single move” in the market (otherwise called a swing). Thus, it’s important to learn technical concepts like Support & Resistance, candlestick patterns, and moving average. Day trading a short-term trading strategy where you’ll hold your trades for minutes or even hours (it’s similar to swing trading but at a “faster” pace). The timeframes you’ll trade on are usually the 5mins or 15mins. As a day trader, your concern is to capture the intraday volatility. This means you must trade the most volatile session of your instrument because that’s where the money is made. If you’re a day trader, you won’t be concerned with the fundamentals of the economy or the long-term trend because it’s irrelevant. Instead, you’ll identify your bias for the day (whether to be long or short) and trade that direction for the session. Below is the chart of USDCAD (4-hour timeframe) at 1.2900 Resistance. If the price can’t break above it, chances are, today will be a “down” day. On the 15-minute timeframe, you noticed a Shooting Star has formed which signals selling pressure. You can take a short trade with possible target profit at Support (blue box). I don’t recommend scalping for the retail traders because the transaction cost will eat up most of your profits. And you’re slower than the machines which put you at a major disadvantage. Scalping is a very short-term strategy where you’ll hold trades minutes or even seconds. As a scalper, your concern with what the market is doing now and how you can take advantage of it. 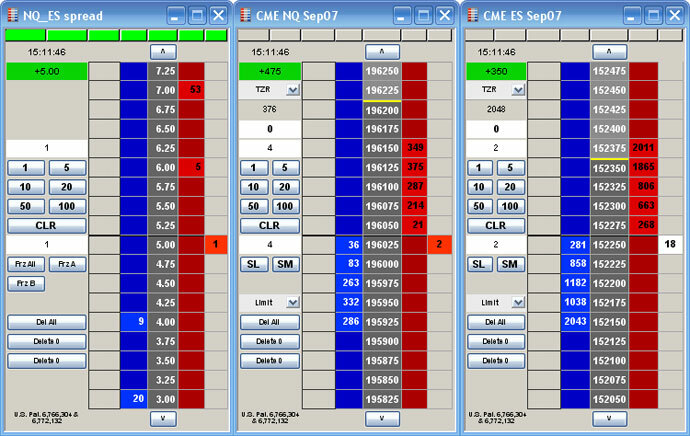 The main tool you’ll use to trade is order flow (which shows you the buy and sell orders in the market). You’ve probably never heard of this before because I came up with it. Back while I was in proprietary trading, one of the “interesting” things I learned was transition trading. 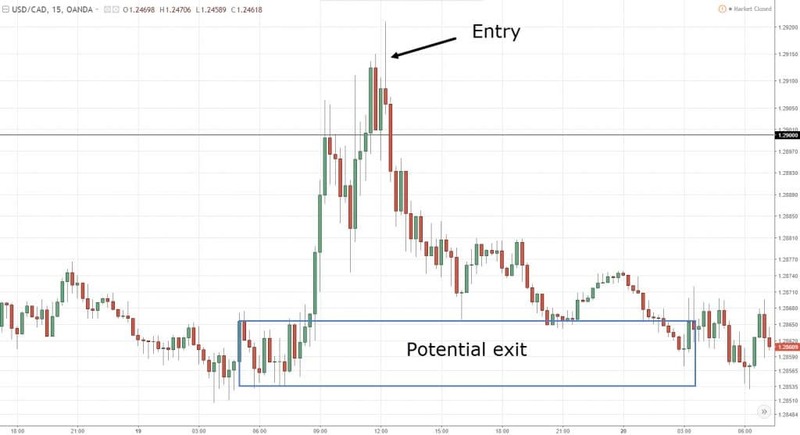 Well, the idea is to enter a trade on the lower timeframe, and if the market moves in your favor, you can increase your target profit or trail your stop loss on the higher timeframe. Let’s say you traded the breakout on GBP/JPY 1-hour timeframe and the price quickly went in your favor. You noticed the 4-hour timeframe respecting the 20MA. So instead of taking profits, you trail your stop loss using the 20MA hoping to ride a bigger move. And if you’re wrong, you’ll exit your trade when the price closes below the 20MA. Now, there are variations of transition trading. Now that you have an idea of the different forex trading strategies out there. Which Forex trading strategies suit you best? I’ve seen traders wasting many years on trading strategies that don’t suit them (right from the start). …they could have saved years of frustrations, money, time, and effort. And, I don’t want you to be one of them. 1. Do you want to grow your wealth or make an income from trading? First, let’s define what’s income and wealth. If you make an income from trading, you must find more trading opportunities within a shorter time period (for the law of large number to play out). This means you must trade the lower timeframes and spend more hours in front of the screen. The Forex trading strategies you can use are scalping, day trading, or short-term swing trading. If you want to grow your wealth from trading, you can afford to have fewer trading opportunities. This means you can trade the higher timeframes and spend fewer hours in front of the screen. The trading strategies you can use are swing trading or position trading. 2. How much time can you devote to trading? But I’ve included it because I’ve seen traders who can’t think logically (not you of course). If you have a full-time job, or you can’t afford to spend 12 hours a day in front of your monitor, then don’t try scalping or day trading (it’s silly). Instead, go with swing or position trading. But, if you have all the time in the world and enjoy short-term trading, by all means, go ahead. 3. Does this Forex trading strategy suit you? Well, in terms of profitability both approaches can work because it depends on your win rate and risk to reward ratio. If you prefer a higher winning rate but smaller gains, then go for swing trading. If you prefer a lower winning rate but larger gains, then go for position trading. Which forex trading strategies do you use?